China will become the world’s largest mobile phone market by revenue for the first time by year end, overtaking the United States, an industry report said. Internet guru Mary Meeker has identified the country as the most mobile nation in the world. 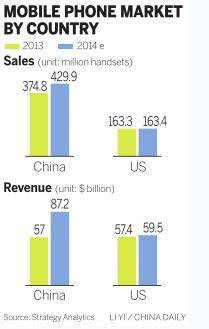 Phone sales will reach $87 billion in China during 2014, a jump of 53 percent year-on-year. That compares with $60 billion projected sales in the US, Strategy Analytics said. Smartphones dominate sales. Chinese shoppers will buy more than 400 million smartphones this year, according to local research company Analysys International. The amount is on track to break 500 million by 2016, it said. 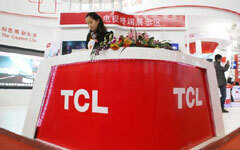 Meeker acknowledged China’s role in the global mobile Internet sector. The world’s second-largest economy is moving swiftly to become a leader in mobile commerce, helped with applications installed on smartphones, according to Meeker. She is a partner at venture capital firm Kleiner Perkins Caufield & Byers. 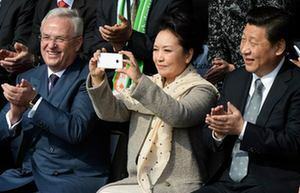 As of last year, more than 500 million Chinese were using mobile devices – primarily smartphones – to connect to the Internet, according to the China Internet Network Information Center. The penetration rate of mobile Internet users rose to a record 81 percent in 2013. 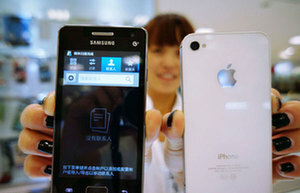 China beat the US in terms of smartphone shipments in 2012. The growth in mobile devices is driven by the country’s rapid shift to fourth-generation telecommunications technologies, analysts said. Leading players, such as Samsung Electronics Co, Huawei Technologies Co Ltd and Lenovo Group Ltd, have pledged to expand their distribution channels, and a widening product offering is diversifying demand in China. Although China leads the global mobile phone market in many ways, the Strategy Analytics report said the US is most likely to remain the most valuable market by profit for a while. “High average selling prices and huge operator subsidies will make the US a very profitable market for major device brands such as Apple and Samsung,” it said. The world’s leading smartphone brands may find it difficult to maintain a high growth rate in China, where analysts said the high double-digit expansion may be nearing its end. Additionally, local players are vigorously expanding businesses on their home turf. 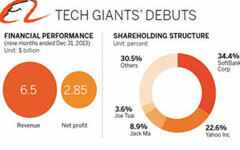 Lenovo, better known for its PC business outside China, is betting on smartphones for future profit. The Beijing-based company became the second-largest smartphone vendor in China by the end of the first quarter, data from Analysys International showed. 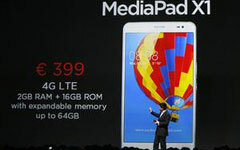 Its 12.3 percent market share only lags behind Samsung. Coolpad – Yulong Computer Telecommunication Scientific (Shenzhen) Co Ltd – as well as Huawei and Xiaomi Corp enjoyed near double-digit market share and Apple’s share dropped to less than 7 percent. Bryan Wang, China head at consultancy Forrester Research Inc, said 4G is a necessary feature for companies such as Xiaomi to put into their portfolio as Chinese are eager for faster Internet speeds. Posted in China Property 中国房地产, China 中国, Chinese Tourist 中国旅客, Chinese Tourists in Hawaii 中国游客在夏威夷, News 新闻, What’s Hot 流行热点. Chinese regulators have given the go-ahead to Alibaba Group Holding’s online payment affiliate Alipay to take control of fast-growing fund firm Tianhong Asset Management Co as the e-commerce giant bulks up its push into online finance. The China Securities Regulatory Commission (CSRC) approved Zhejiang Alibaba E-Commerce Co, the parent company of online payment company Alipay, to purchase 51 percent of Tianhong, according to a filing from Tianhong shareholder Inner Mongolia Junzheng Energy & Chemical Industry Co on Thursday. Alibaba is gearing up for what could be the world’s biggest tech IPO, and online finance has become another battleground for the firm. Though the business unit will be largely kept separate from the offering, it could play an important role in the entire company’s future growth. 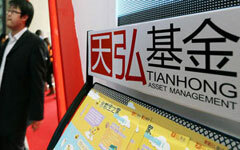 Tianhong has gone from near obscurity to running China’s biggest money market fund by assets under management (AUM) in just months after it launched fund platform Yu’e Bao, or “leftover treasure”, with Alipay in June last year. Yu’e Bao’s one-year interest rates are higher than a bank’s regulator-restricted rates for one-year deposits, and are an incentive to deposit money with the platform. Yu’e Bao, which people can run from their smartphones, is also linked to China’s biggest online payment platform Alipay, similar to PayPal. Users can dip directly into Yu’e Bao to buy products on Alibaba’s huge online shopping websites and anywhere else that takes Alipay. Alipay’s investment, valued previously at 1.18 billion yuan ($189.11 million), will see the firm inject 262 million yuan in registered capital into the fund, according to the filing. Tianhong had 554 billion yuan in AUM in the first quarter of 2014, from just 10.5 billion yuan a year earlier, according to Z-Ben Advisors, a Shanghai-based investment management consultancy. Posted in China Property 中国房地产, China 中国, Chinese Tourist 中国旅客, Chinese Tourists in Hawaii 中国游客在夏威夷, Immigrant 移民, Interview 采访, News 新闻, What’s Hot 流行热点. Hong Kong is the third-best shipping hub in the world and Shanghai seventh, according to a research report on international shipping centers released in Shanghai on Thursday. The study, “2014 Xinhua-Baltic Exchange International Shipping Center Development Index Report”, has been compiled by Baltic Exchange and a research institute of China Finance Corporation. The index, which studied 46 shipping hubs globally, was assembled based on various aspects, including port conditions, shipping and comprehensive services, and then it was examined and evaluated by a research team of industry experts. The top 10 shipping centers are Singapore, London, Hong Kong, Rotterdam, Hamburg, Dubai, Shanghai, Tokyo, New York and Busan. 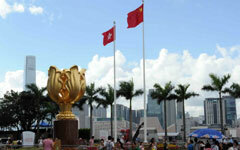 Ports in Asia took six places among the top 10, showing a revival of the sector in the region, experts said. “An outstanding international shipping center requires more than a just big port. Today, it requires various services that help smooth business and operations, such as insurance, compliance, and management, which may be more important than just infrastructures,” said Marcus Lee, Chief Representative in China at The Baltic Exchange. Posted in China 中国, Chinese Tourist 中国旅客, News 新闻, What’s Hot 流行热点. Chinese regulators have given the go-ahead to Alibaba Group Holding’s online paymentaffiliate Alipay to take control of fast-growing fund firm Tianhong Asset Management Co as thee-commerce giant bulks up its push into online finance. The China Securities Regulatory Commission (CSRC) approved Zhejiang Alibaba E-Commerce Co, the parent company of online payment company Alipay, to purchase 51percent of Tianhong, according to a filing from Tianhong shareholder Inner MongoliaJunzheng Energy & Chemical Industry Co on Thursday. Alibaba is gearing up for what could be the world’s biggesttech IPO, and online finance has become anotherbattleground for the firm. Though the business unit will belargely kept separate from the offering, it could play animportant role in the entire company’s future growth. Tianhong has gone from near obscurity to running China’sbiggest money market fund by assets under management(AUM) in just months after it launched fund platform Yu’eBao, or “leftover treasure”, with Alipay in June last year. Yu’e Bao’s one-year interest rates are higher than a bank’sregulator-restricted rates for one-year deposits, and are anincentive to deposit money with the platform. Yu’e Bao, which people can run from their smartphones, isalso linked to China’s biggest online payment platformAlipay, similar to PayPal. Users can dip directly into Yu’eBao to buy products on Alibaba’s huge online shoppingwebsites and anywhere else that takes Alipay. Alipay’s investment, valued previously at 1.18 billion yuan ($189.11 million), will see the firminject 262 million yuan in registered capital into the fund, according to the filing. Tianhong had 554 billion yuan in AUM in the first quarter of 2014, from just 10.5 billion yuan ayear earlier, according to Z-Ben Advisors, a Shanghai-based investment managementconsultancy. According to a report by Knight Frank LLP, the number of Chinese super-wealthy, those who own more than US$30 million in assets (excluding their main residence), will grow by 80 percent over the next decade , Global Times reports. China will have over 14,200 ultra-wealthy individuals by 2024, which will rank China 13th in the world in terms of the number of multi-millionaires. This would place Hong Kong, Shanghai, and Beijing as third, fifth, and sixth, respectively, as the cities with the most ultra-wealthy people. The rise of the super-wealthy in China is also driving up the prices of luxury real estate both in China and abroad. In fact, high-end residences in Beijing increased in price 17 percent in 2013 to reach US$17,100 per square foot after only a 2 percent gain in 2012. 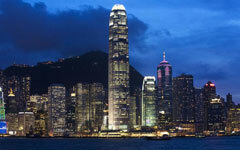 The high-end real estate boom has also carried over into international markets. According to Knight Frank, China’s super-rich contributed 13 percent of the United States’ and 30 percent of Australia’s inbound capital to each country’s property development markets in 2013. So far, the Chinese real estate investments are concentrated in second-tier foreign cities such as Houston, Texas and Birmingham, England. The only thing holding back these investors is a lack of understanding of local property markets and laws, and many of these Chinese investors are looking for foreign partners for assistance in these areas.